Police who arrested a mother-of-eight who allegedly dumped her baby in woodlands had been investigating by police over the death of two more of her children, it has emerged. 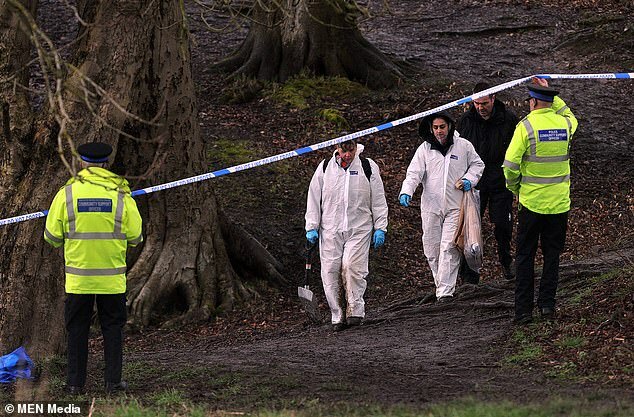 The badly decomposed body of baby Pearl, named by police because it means ‘precious’, was found in Bluebell Woods, Greater Manchester, last April. Officers made repeated pleas for the parents of the child to come forward. Their investigations led them to Leah Howarth, 33, and her partner, Shane Hutchinson, 48, who were arrested on suspicion of murder, concealing a birth and preventing a lawful burial in July. They were questioned and released without charge and yesterday an inquest into Pearl’s death was told both denied being the baby’s parents until they were confronted with undeniable DNA evidence. They both claimed they had no idea Miss Howarth was pregnant until she suffered a miscarriage on Christmas Day 2017 and that neither had seen the baby. Both accused the other of getting rid of the child. 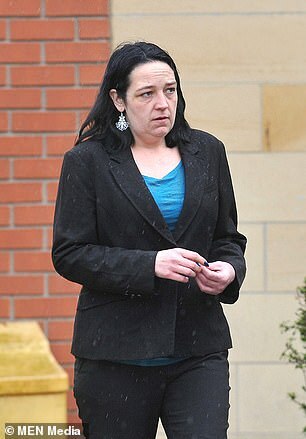 The hearing in Heywood heard that Miss Howarth had fallen pregnant nine times but half the babies had died. One pregnancy ended in abortion, another a miscarriage, while three others, including Pearl, had been investigated by police. Howarth has four surviving children but does not have custody of any of them. Detective Inspector Wesley Knights, of Greater Manchester Police, said Miss Howarth was interviewed on suspicion of infanticide following the death of a baby boy in September 2015. Police went to her home after she visited hospital with a placenta and found a dead newborn boy wrapped in a plastic bag and hidden in a basket in her bathroom. She was also investigated in 2001, aged 16, regarding the unexplained sudden death of another baby boy, who died aged four months. On both occasions Miss Howarth, of Fleetwood, Lancashire, was never charged with any crime. Coroner Joanne Kearsley was told in Pearl’s case there was not enough evidence to charge Howarth or Hutchinson with any offence. 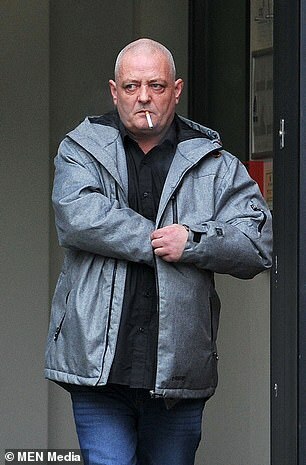 The court was told the couple, who had been together for two-and-a-half years, were living in a caravan in a mechanic’s yard in Heywood, when Howarth delivered Pearl on Christmas Day 2017. She told the hearing she slipped in and out of consciousness and ‘never saw a baby’. Hutchinson said he had been visiting his mother’s grave and found his partner covered in blood. He admitted he flushed the placenta down the toilet and burning blood-soaked towels, but denied disposing of the baby. Pathologist Dr Charles Wilson said it was impossible to tell whether Pearl, who was badly decomposed and discovered by dog walkers, had been born dead or alive. Examinations revealed she would have been between 32 weeks and a full term. 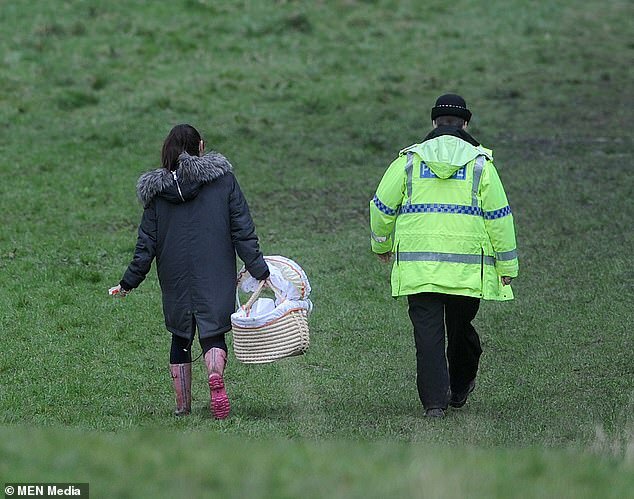 Dr Wilson said it was likely the baby had been stored somewhere cold for four months before it was dumped in the wood. Messages discovered on Mr Hutchinsons’s phone revealed he at least suspected she was expecting and that the baby wasn’t his, the coroner said. Miss Kearsley said she had been ‘unimpressed and unconvinced’ by their evidence and was satisfied Miss Howarth, who had undergone seven previous pregnancies by then, would have known that she had given birth. In contrast, she said she could not be satisfied that Mr Hutchinson had known about the child. However, the coroner said the baby must have been dumped in the woods by one of them. Miss Kearsley refused Miss Howarth’s request to give her daughter several middle names and instead recorded her name as Pearl Howarth-Hutchinson. She told Pearl’s parents to think carefully about agreeing to a request from the paternal grandmother of Miss Howarth’s four surviving children, who has custody of them, to allow Pearl to be buried in the same grave as her two half-brothers. Last night the grandmother, who cannot be named, told the Mail: ‘I want people to know that Pearl was not a throw away baby. ‘If we had known about her she would have been loved. I don’t want her lying in a cold mortuary, I want her to be with people who will remember her, remember her birthday and other special occasions. She deserves to be with her half-brothers.